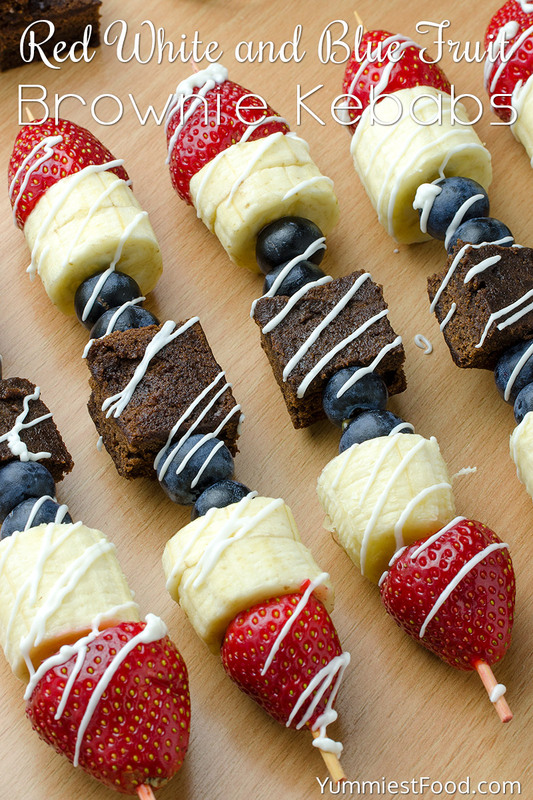 Healthy Summer Red, White and Blue Fruit Brownie Kebab – super easy, tasty and impressive for parties or snacks! Very nice and super healthy dessert perfect for summer days! 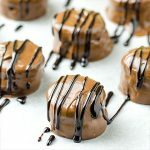 Summer is my favorite time of the year because I can make interesting desserts like these Fruit Brownie Kebabs. It is really funny when you make them and you can also enjoy in fruit vitamins. When is time for summer parties I always know what to make. It is the end of the school and that’s the right and super reason to make something interesting, nice and quick. On the market we can find out many kinds of different fruit so you only need to buy something you like the most and enjoy in freshness of these fruit kebabs. You need bamboo of wooden skewers, fruit you like and this time I will add brownie so this will be super tasty combination. 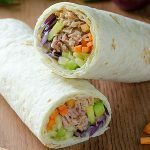 I really like making this recipe because my children can help me. We spend lot of quality time together in the kitchen and then we can enjoy. I know that everyone will like this recipe. My children like to make this recipe on their own for their friends when they are coming over. This is complete recipe because it has three main things, taste, smell and nice look. I like recipes like these. I spend lot of time in the kitchen so I can say that people like everything which has nice and attractive look. 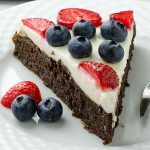 Everyone will like this dessert in combination of fruit and brownie. If you like brownie, this is right recipe for you. In combination with favorite fruit this will become your favorite dessert and my children always choose strawberries. We like strawberries and in combination with blueberries and bananas you get red, white and blue color which is perfect for the 4th of July. Enjoy in this healthy summer dessert! 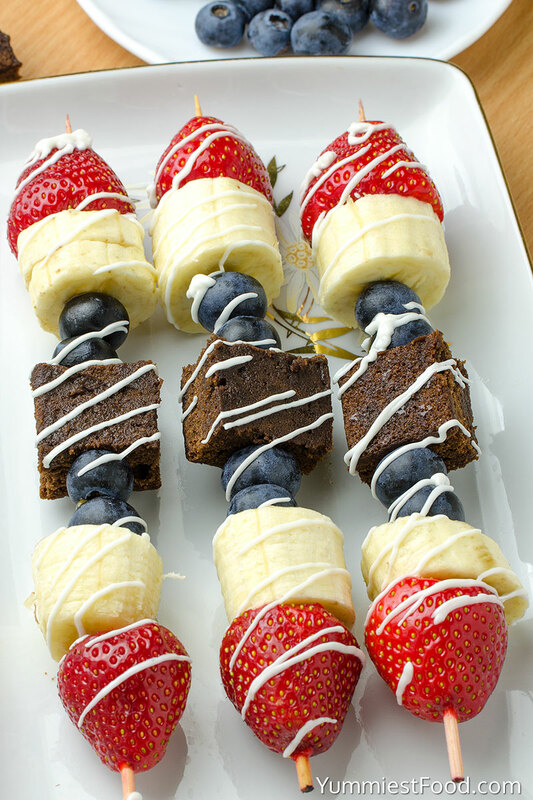 Healthy Summer Red, White and Blue Fruit Brownie Kebab - super easy, tasty and impressive for parties or snacks! Very nice and super healthy dessert perfect for summer days! 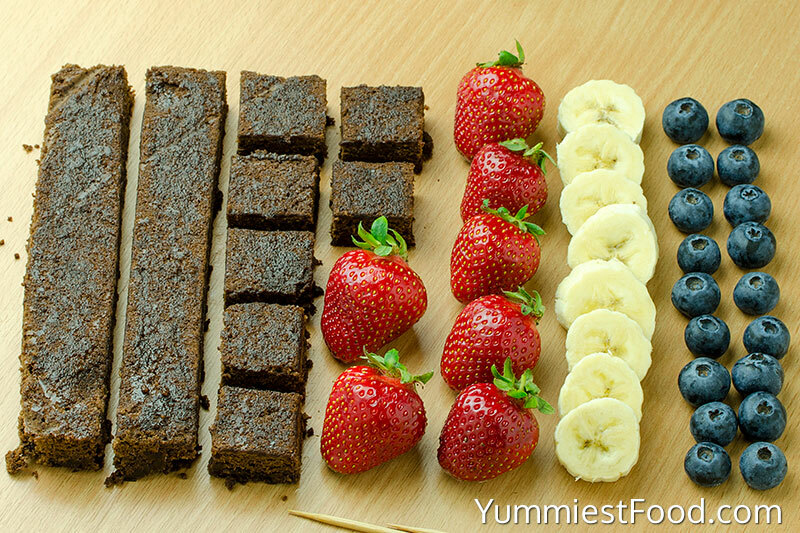 Assemble alternate threading strawberries, bananas, blueberries and brownies onto wooden skewers. 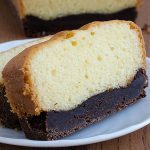 This recipe is extremely adaptable, use the brownie recipe of your choice and fruits are in season.